Using named day delivery: Order this product within 10 hrs and 27 mins for guaranteed Tuesday delivery. 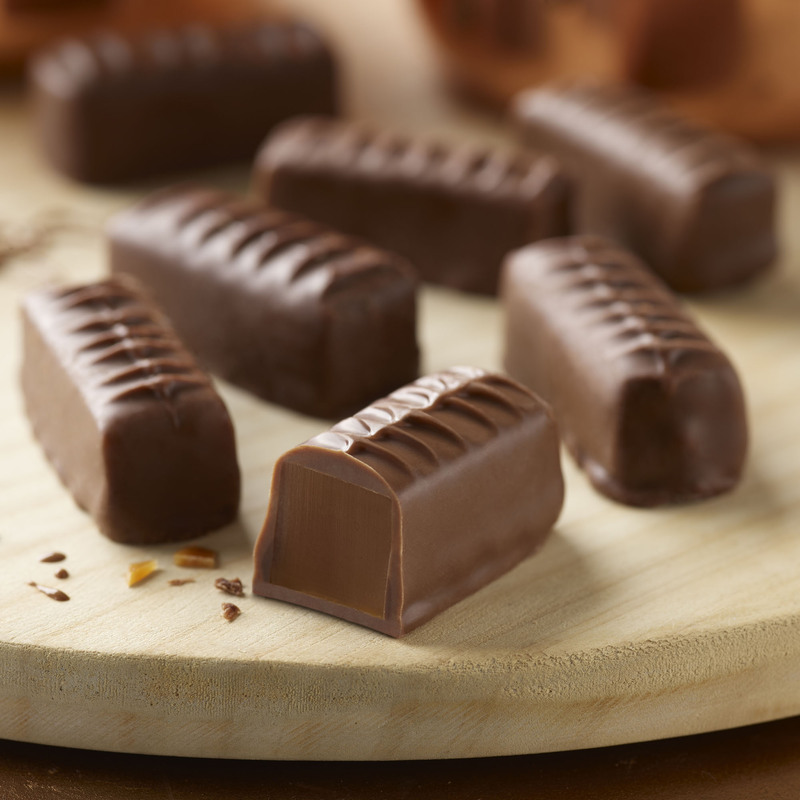 Chewy caramel covered in milk chocolate is always going to be a favourite flavour combination, and our Milk Chunky Caramels are nothing short of chocolate perfection! 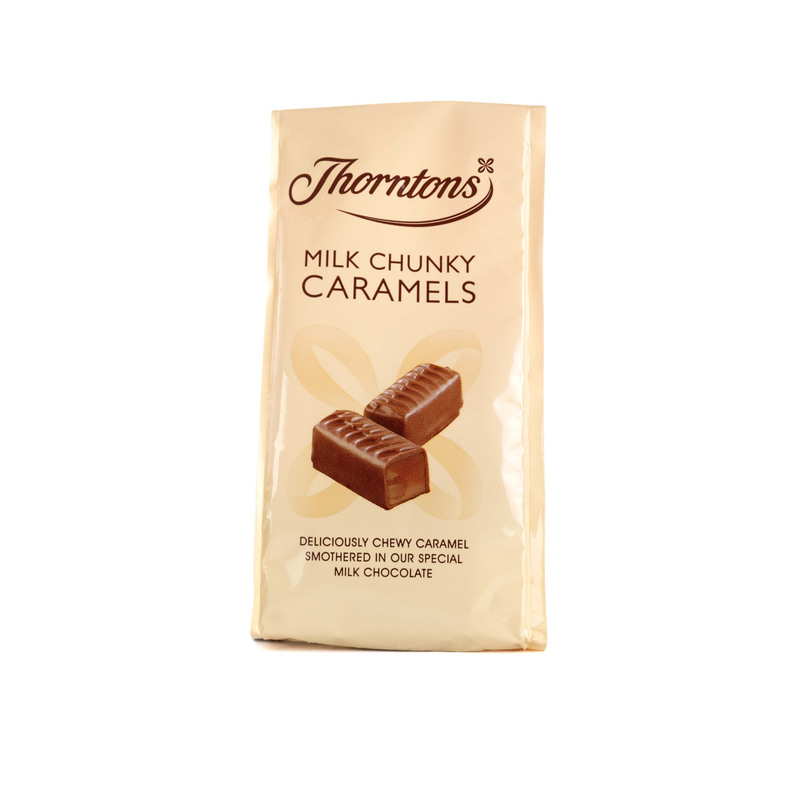 Treat yourself to a bag of these firm chocolate-smothered caramels, or give as a token gift to someone who counts caramel as one of their favourite flavours. 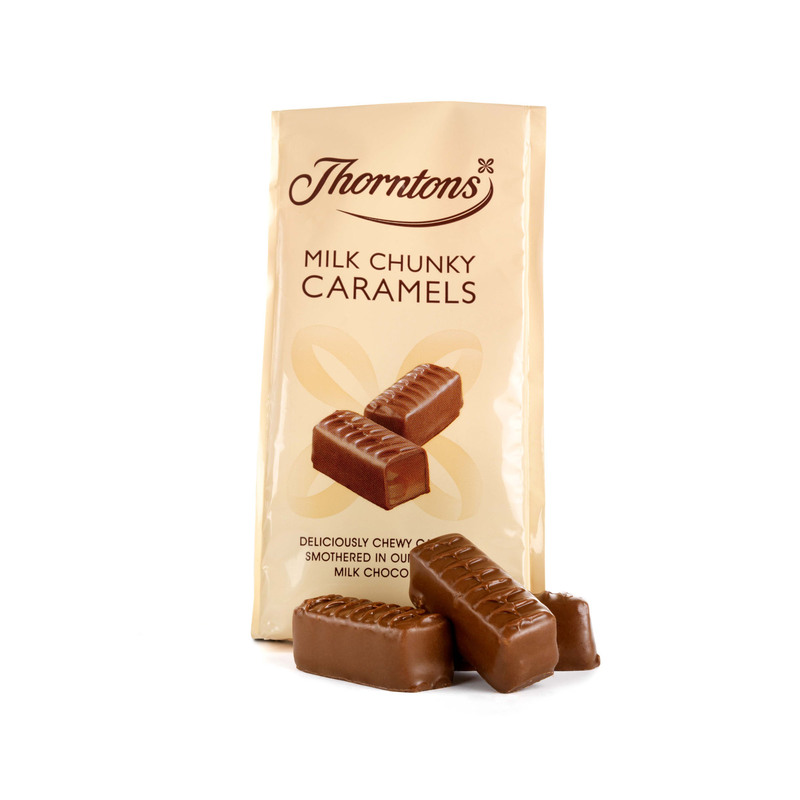 A rippled coating of finest milk chocolate adds a smooth and creamy element to sweet and deliciously sticky caramel, to create this classic Thorntons chocolate that we know you love. Now in a new look bag as part of the Favourite Flavours range. Glucose Syrup, Sugar, Sweetened Condensed Milk (Whole Milk, Sugar), Butter (Milk), Dried Whole Milk, Cocoa Butter, Humectant (Sorbitol), Cocoa Mass, Palm Oil, Invert Sugar Syrup, Milk Fat, Salt, Emulsifiers (Soya Lecithin, E471), Flavourings, Palm Kernel Oil.